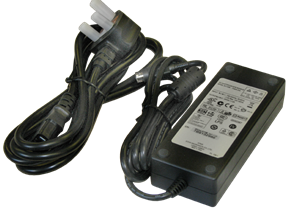 Newland Adapters / PSU, Multi plug adapter 12V / 2A - with 2.1-5.5mm diameter plug for NQuire series. Newland Adapters / PSU, Multi plug adapter 5V / 0.5A - with 1.35*3.5*7mm diameter plug for HR100, FM100, FM200, FM420 series. Newland Adapters / PSU, Multi plug adapter 5V / 1.5A - for PT98X series. Newland Adapters / PSU, Multi plug adapter 5V / 0.8A - with 2.1*5.5mm diameter plug for HR100R, HR200, FM210 series. Newland Adapters / PSU, Multi plug adapter 5V / 1.5A - with mini USB for PT80, PT30, MT70 for PDA only. Newland Adapters / PSU, Multi plug adapter 5V / 3A - for cradle PT80, PT30 & MT70. Newland Adapters / PSU, Multi plug adapter 5V / 1.5A - with DC cord for CD15 & CD32 cradle.